We have now settled into our new home at Battersea Reach and with the Opening Show a success, we are getting ready for the cosiest time of the year. It has been an exciting year so far and it doesn't look to be slowing down with some fabulous new works. As well as solo shows for Elena Molinari and Carl Laubin and not forgetting our annual Winter Show in February. 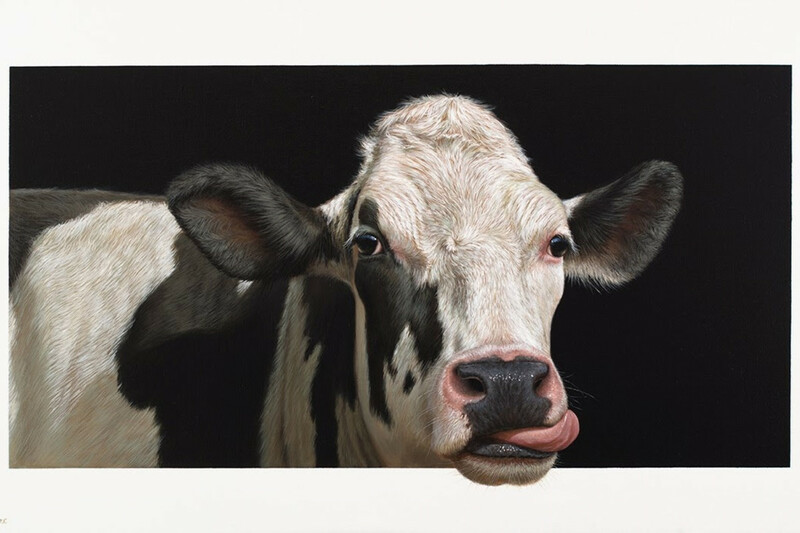 Alexandra Klimas produces portraits of farm animals, mainly cows. According to Klimas, the cows are disappearing from the landscape mainly through the rise of mega farms in the Netherlands, where they are not allowed outside to graze. From an early age, Klimas was concerned with the fate of these good-natured beasts as she thinks they represent what happiness is supposed to look like, almost manifesting themselves as human characters with their emotions reduced to a primary level. Working in pastels, pencils and charcoal Nourine Hammad not only strives to produce works that are representational, but goes beyond that and tries to discover the truth within her subjects. By approaching her subject matter honestly and without vanity, she strives to create detailed work that celebrates perfection and imperfection which coexist comfortably alongside each other. The way Hammad plays with objects and colour is sophisticated and balanced. A feast for the eyes. Her new works show off her playful side, highlighting the jokers in a pack of cards, capturing the creepy nature of the joker's character in full colour. 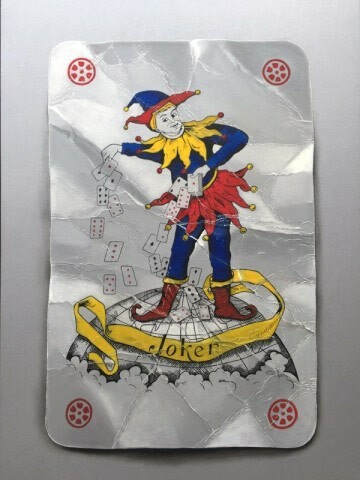 Many card games omit the card entirely; as a result, Jokers are often used as informal replacements for lost or damaged cards. Hammad's work comments on the throw away nature of our modern society and hones in on the everyday, overlooked by so many. With his intricate skill, augmented by experience in art restoration, Pedro Campos is deeply focused on the presence of things and endows each item he paints with a hint of the metaphysical. Restoration also taught Campos to subdue his brushwork and instead strive to create truth through realism. His new work features his signature bold, graphic reds, masculine over tones, and amplifys ordinary objects. "His meticulously executed snatches of the real world are executed with the minute precision of higher mathematics; and yet what seem to be very cool, unemotional artworks, embracing a quietest aesthetic, turn out to set off an intensely emotional experience. What begins in mathematics, ends in a subtle and a virtually indefinable magic." The new paintings by Mike Briscoe take on a fresh perspective, still referencing family life but with an abstract twist. 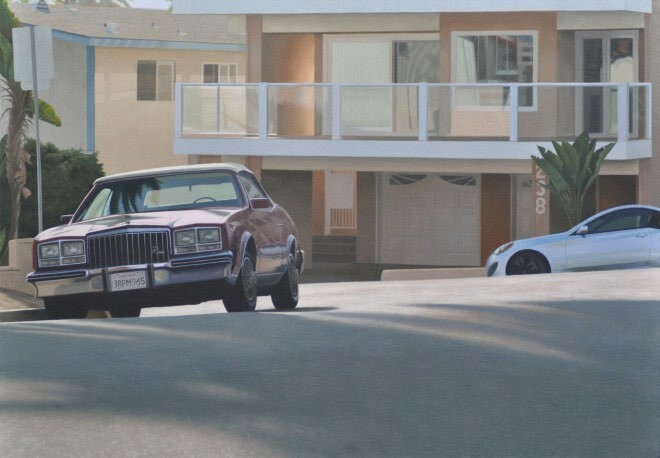 Briscoe has swapped the holiday snaps of his Welsh beaches for the cooler more sophisticated views of California. 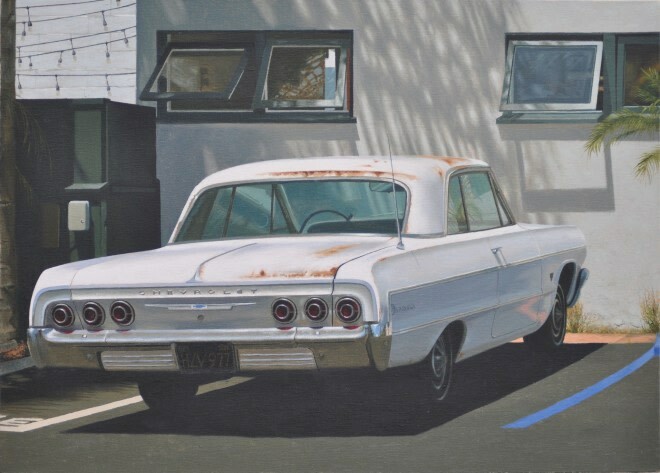 Works such as California Suburb Late Afternoon and Parked up in San Clement may have cars as the focal point of the image, but you don't have to be a car lover to appreciated these paintings. The subdued colour pallet from which Briscoe creates these new scenes, offers a modest and calm perspective on the everyday. 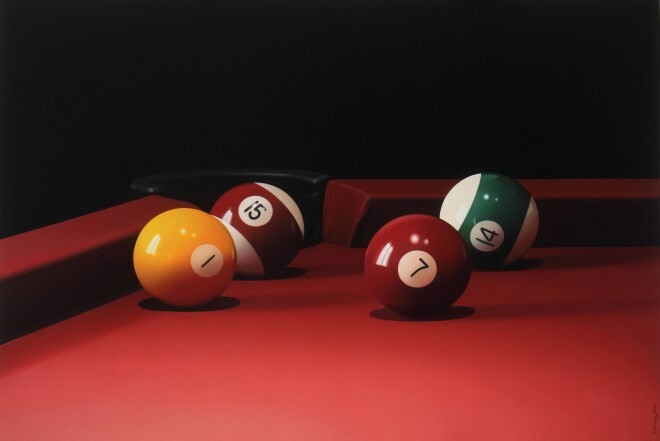 "I work in a realist or photorealist style which has best suited what I am trying to convey in my work: my reality. What is interesting about this, is that my reality may not be the reality of someone else. The reality of an individual is dependent on their thoughts, emotions and their understanding of world. I do think that certain feelings and emotions that are experienced from looking at a painting might be similar to the next person, but I welcome and urge the individual to make up their own mind about what they see in my work. I feel my work represents being in the present or the now, even if older recollections surface. 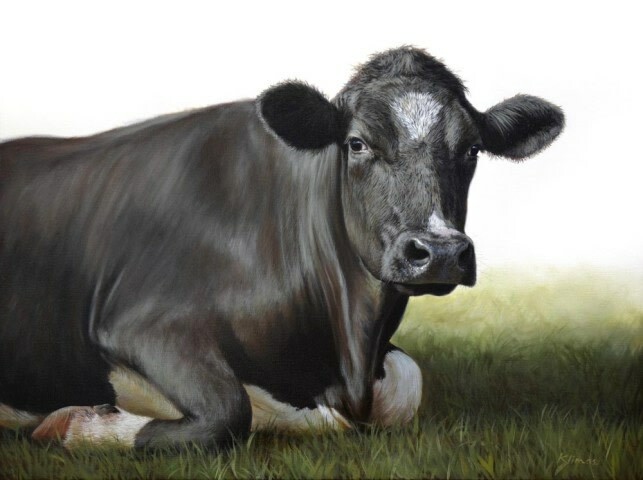 Spending a long time painting a subject, the usual becomes unusual and the painting appears to have intrigue and perhaps a bit of mystery to it." Javier de Aubeyzon is newly represented by Plus One Gallery. Born in Buenos Aires, 1964, Aubeyzon formally worked as a Professor of Urban Planning and Architectural Representation (1992- 1996). Until the early 2000's he collaborated with the studio of Baudizzone - Lesstard in which he was part of many projects. He is a passionate skater (Argentine champion 1980), surfer and painter and divides his time between these activities. 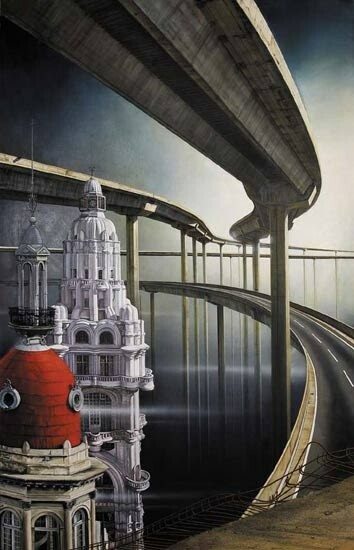 Aubeyzon creates sci fi worlds that combine modern industrial architecture with classical buildings. Aubeyzon's works comments on the advancements in technology. "The physical process of putting marks on paper with graphite is distinctly personal as it is a link to my father who first instilled in me the pure joy of drawing. I have long had a fascination for the effects of light . 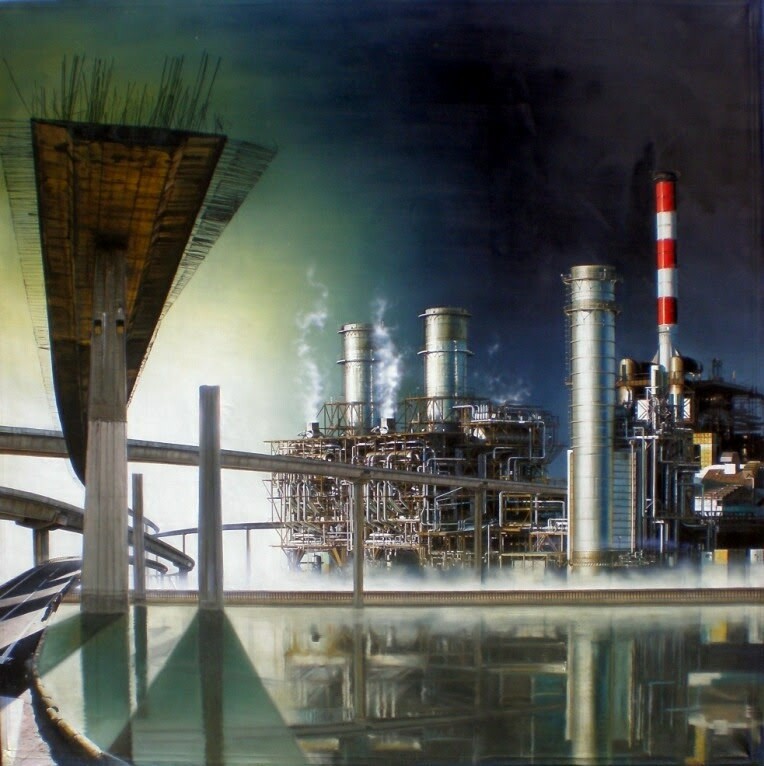 . . often in reflections and on industrial metal . 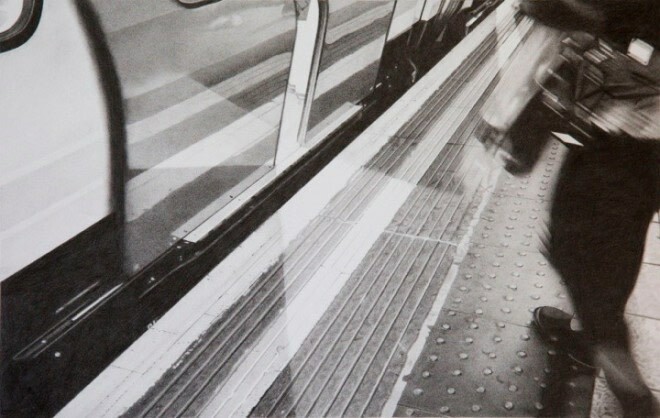 . . and my drawings increasingly explore its atmospheric properties in spontaneous everyday situations." Roger Watt does not disappoint with his newest drawings that convey the movement of the underground, even if a lot more empty than we usually find it. 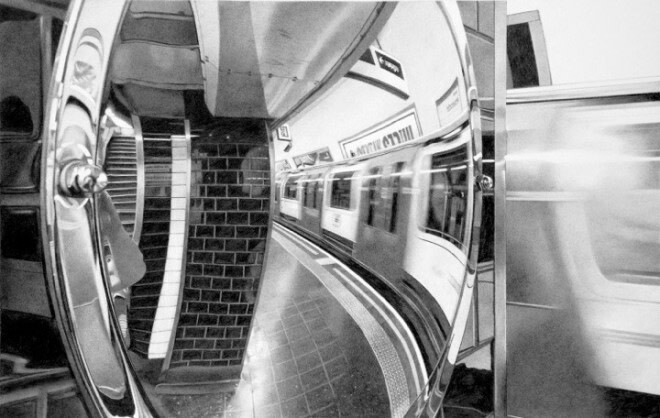 Going back to his roots, Watt takes the iconic London Underground as his subject matter and explores light, dark and reflective surfaces. Plus One Gallery is delighted to announce the forthcoming solo show 'The Alchemy of the Everyday' by gallery artist Elena Molinari. 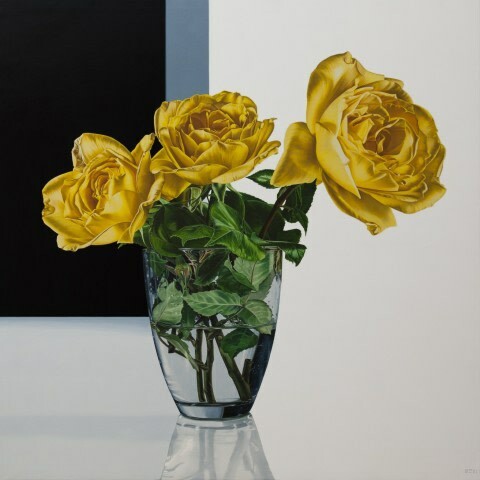 This exhibition will showcase her latest still life paintings which continue to be dedicated to an array of new textures: silken drapery, glass vases, flowers and leaves, gleaming berries. Plus One Gallery is delighted to announce the forthcoming solo show 'A Sentimental Journey' by gallery artist Carl Laubin. 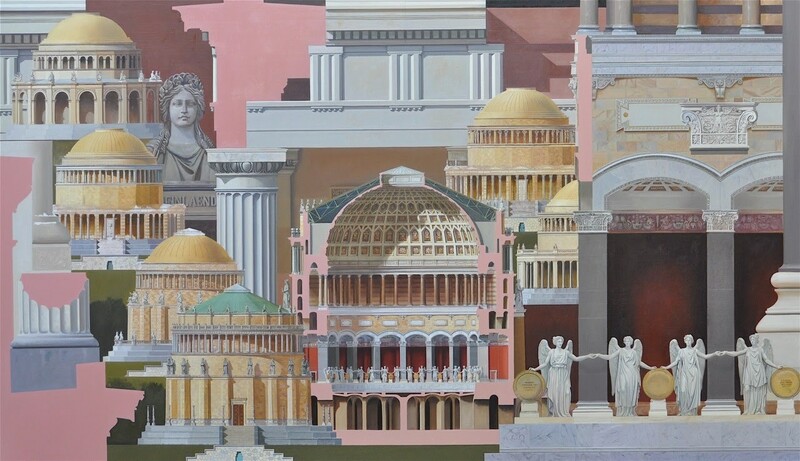 This exhibition portrays Laubin's research and passion he holds for the architectural paintings and drawings of Leo Von Klenze; Laubin's latest Capriccio will be unveiled at this time.